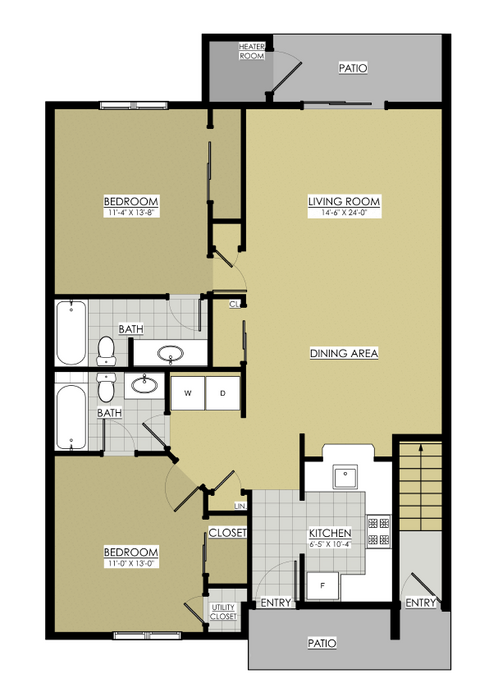 This unit features a spacious living area, kitchen pass through opening and breakfast bar. This unit has a full size Washer & Dryer, sliding mirror closet doors in both bedrooms and a private rear patio. 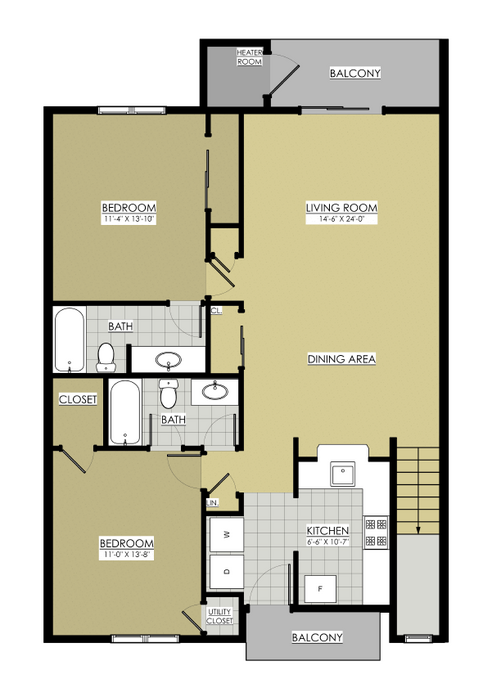 This unit features a spacious living area, kitchen pass through opening and breakfast bar. This unit has vaulted ceilings, skylights, rear and front private balconies, full size Washer & Dryer and front bedroom has a walk-in closet.